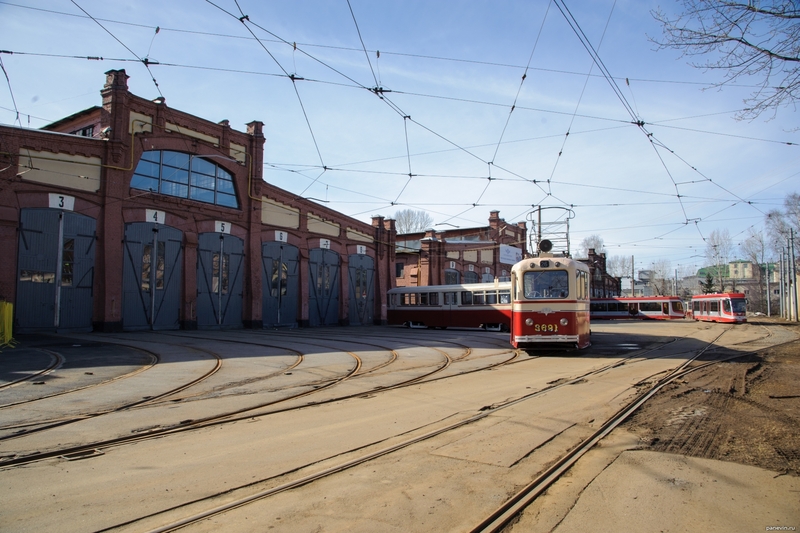 Tram depot on Vasilevsky island (were trampark of Leonov), constructed in 1906—1908 years in architectural modernist style under the project of architect A.A.Lamagina. Nowadays a museum of city electric transport. Blog, posts Museum of electric transport, museums, St.-Petersburg, technics, Vasilevsky island.